Is the FSA Cap Increase Too Little Too Late? Flexible spending accounts (FSAs) are something many employers offer as a way of helping employees save pre-tax funds to help pay for out-of-pocket expenses such as deductibles, co-payments, and coinsurance. They’re also a great way for employees to use tax-favored money to pay for non-covered procedures like vision and dental care and Lasik eye surgery. When these accounts were first introduced, employers could offer them with no limit on the amount employees could contribute (although most capped this amount annually at around $3,000 to $5,000). However, when the Affordable Care Act (ACA) was passed in 2013, it placed a cap on pre-tax contributions (from both the employer and employee) of $2,400. The logic was that the additional tax revenue that resulted from limiting the contributions would help fund the ACA. The Act also provided for annual indexing based on the increase in Consumer Price Index for All Urban Consumers (CPI-U) each year. By 2016, the limit had increased to $2,550. The amount of the 2017 limit is based on CPI-U through August 2016 and is projected to be $2,600. However, it’s likely that the IRS will not formally announce the new cap until late October–too late for most employers to make adjustments to their open enrollment period for 2017 benefits. So how are employers handling this uncertainty? The response varies. Some plan to proceed with open enrollment assuming an FSA cap of $2,600. Others plan to wait until the announcement is made and then decide if they want to make an adjustment. Some employers aren’t even considering making any changes until 2018. 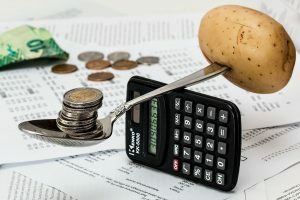 While it seems like a mere difference of $50 isn’t really a big deal, the truth is that FSAs are a valuable asset and many employees can benefit from even the smallest additional contribution. No matter what you decide to do, be prepared to field employee questions that arise about when they can increase their contributions.